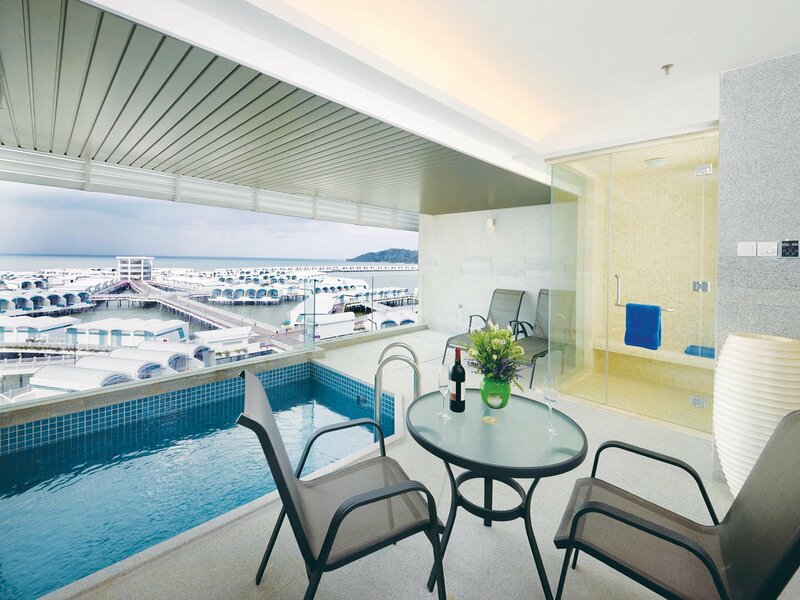 Situated onshore within the hotel’s tower block, the contemporary Sky Pool Villa offers a more spacious living area. 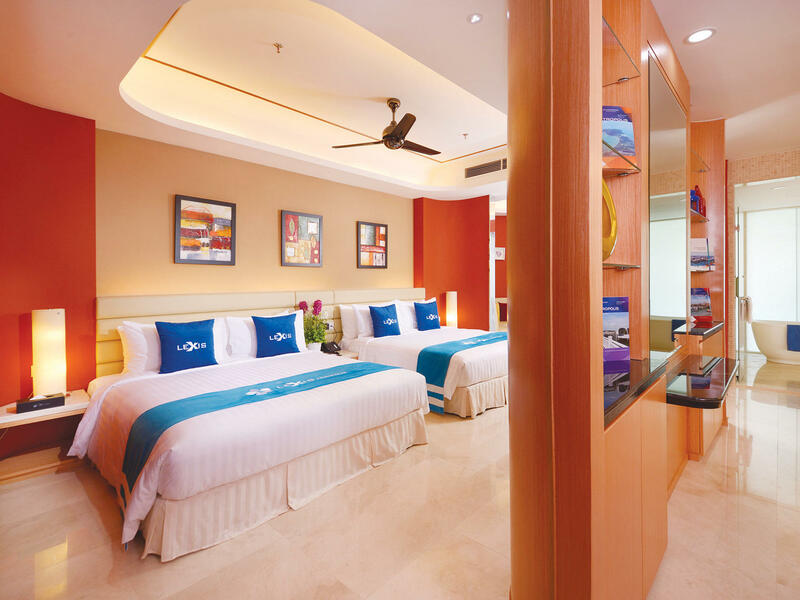 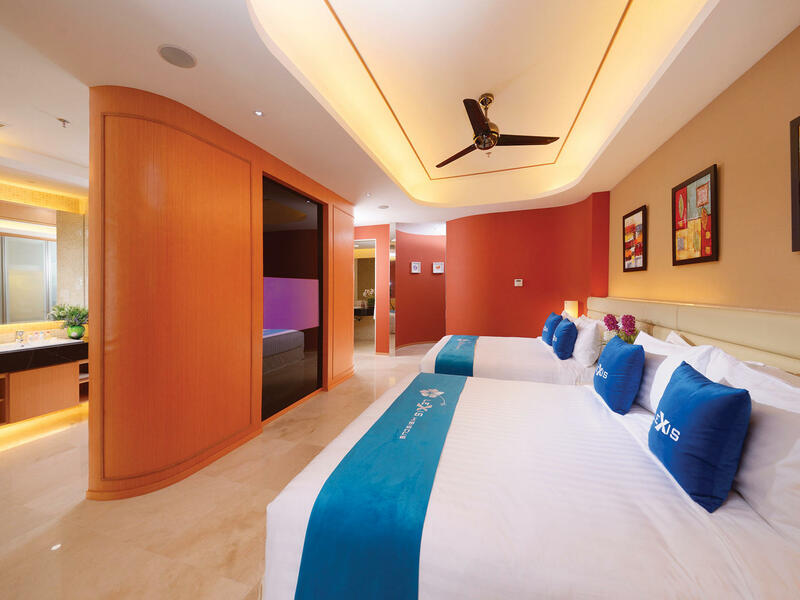 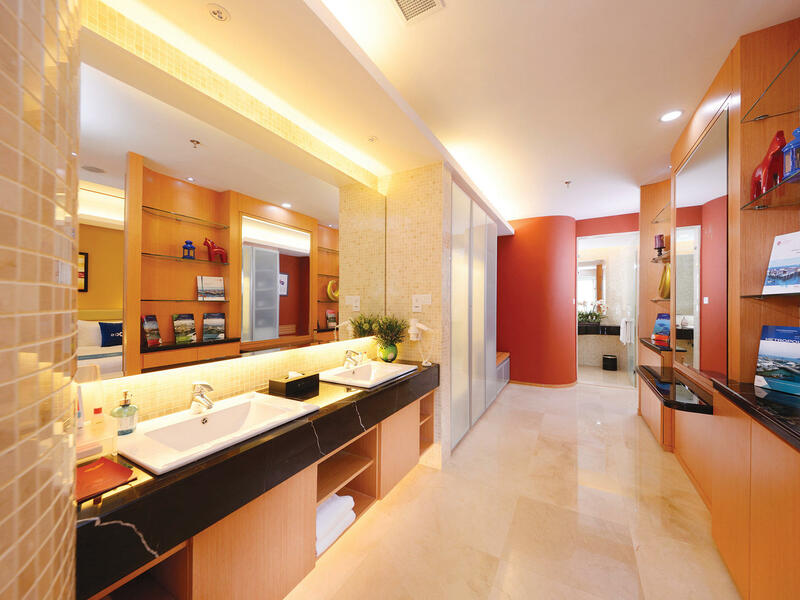 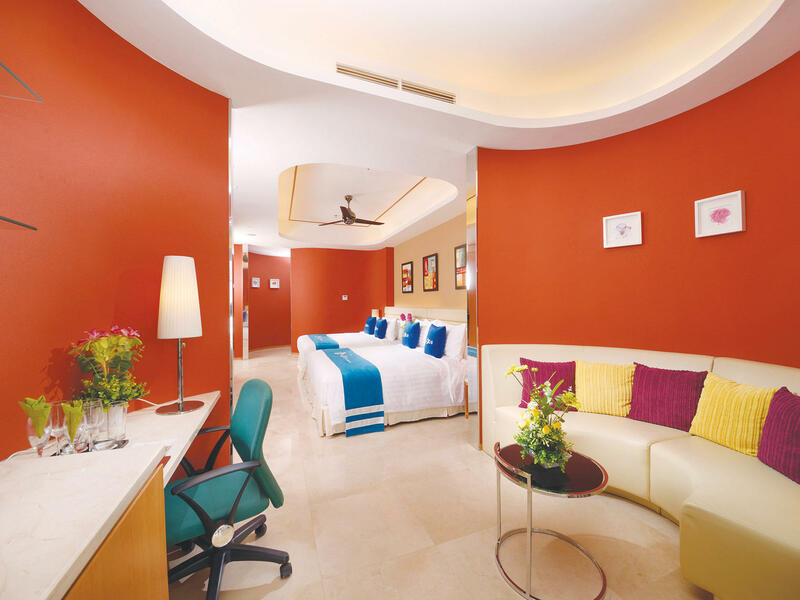 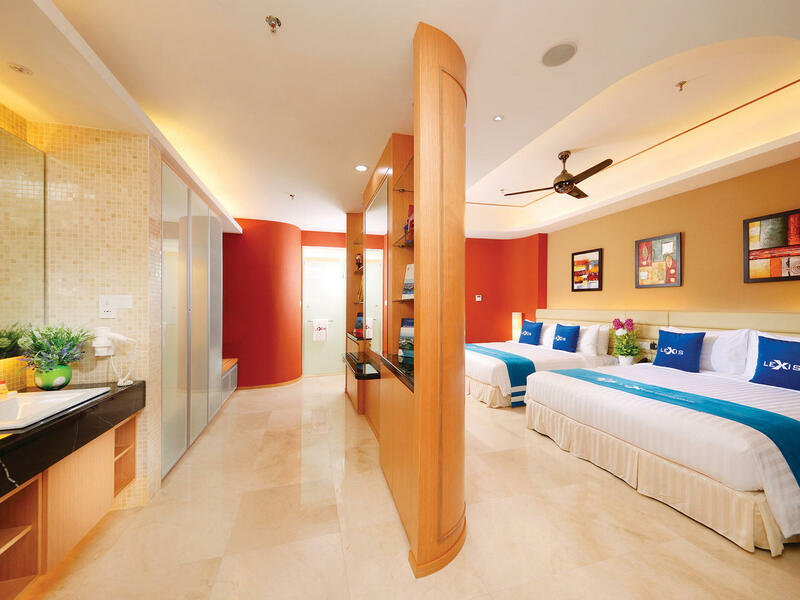 The room's brighter tone and sleek furnishings truly enrich the beauty of the resort’s setting. 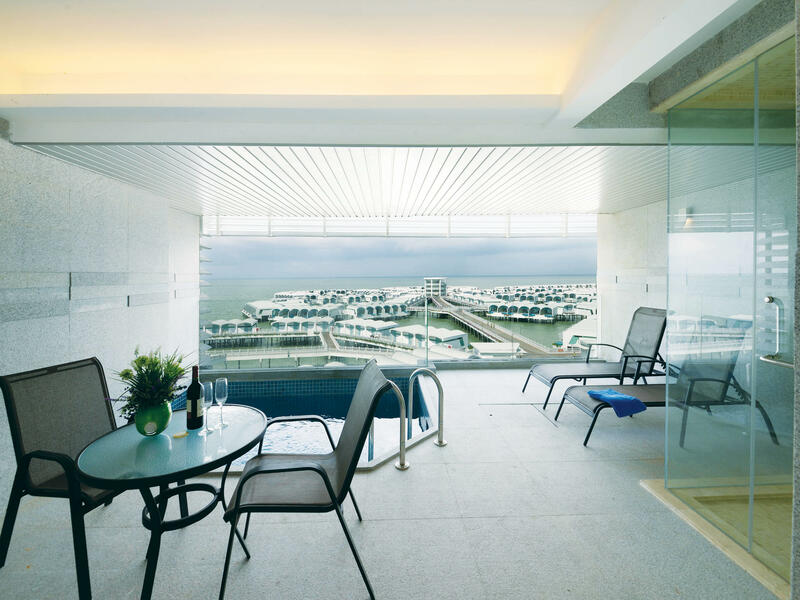 In addition to a sweeping view of the waterfront, this Villa’s functional layout, impeccable finishing and use of space create an ambiance that is modern yet timeless.